3. URL of spoof website disguised as https://onlinebanking.huntington.com/login.asp. This looks secure but is NOT! 4. 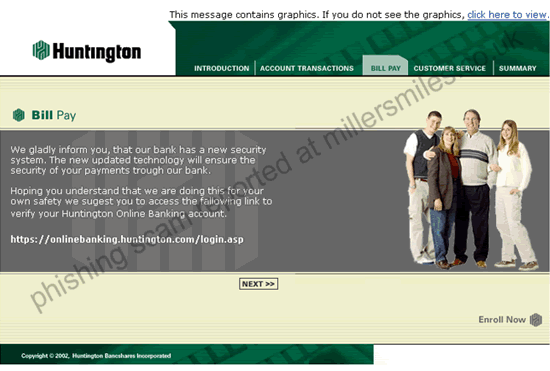 Real URL looks nothing like Huntington Bank, its mostly numbers (an IP address). 5. Scam email looks very professional - be wary!
" We gladly inform you, that our bank has a new security system. "